What if you could expand the potential of neurogenic movements and all that you have learned in T.R.E? What if instead of just solving traumatic conditions we could shake into unveiling our full potential? From the first time I learned T.R.E in 2009 with David Berceli I knew that this technique had an amazing potential. It opens the gate for us to discover the body's innate wisdom and empowers us to own our healing process. I’m interested in what my inner wisdom, my neurogenic wisdom, wants to create. Finally I was able to find it. Actually, it found me. Life took me through an amazing journey to unveil the potential of neurogenic movements and how to share that with other people. Through meeting amazing people, learning more about the body and going into my own journey I put the pieces together to see the greater potential of neurogenic movements. It is not only on the basis for trauma transformation, but it is the fundament for greater expansions of consciousness and for reaching our full potential. I always knew that theoretically, but what I teach in this course is how to make it concrete and experiential. Are you familiar with Neurogenic Movements? This course was designed for those who already have some experience with Neurogenic Movements and understand the concepts of self-regulation and the body's innate wisdom to heal itself. That can be learned through a few different modalities but I highly recommend TRE (Trauma Release Exercises). If you do not know TRE and neurogenic movements, this course may not make any sense to you. I'm assuming that everyone who takes this course has a background with neurogenic movements. T.R.E is an amazing technique developed by Dr. David Berceli that is empowering people all over the world to take care of themselves and overcome traumatic conditions. If you want to learn more about TRE, you can visit Trauma Prevention.com. Or you can contact me for personal sessions. Discover the bigger spectrum of how Neurogenic Movements can happen. Practice exercises to allow Neurogenic Freedom. Familiarize yourself to unusual body movements and expressions. Watch demonstrations videos that are worth more than a 1000 words. Go into flow, pleasure and expansion. Release tensions and emotions without identifying yourself with them. Use Neurogenic Freedom in your spiritual path. What is our fundamental trauma? This course equals to a two days workshop. The online format is more condensed, and you have to add up practice time and Q&A through email. I recommend that you take time in between the units to absorb and practice what you've learned. This is not T.R.E and you will not learn about T.R.E and its exercises. This is not part of T.R.E and it is not an advanced training module. This is not a training, nor for you to use with your clients and it is not for trauma treatment. This course is focused on neurogenic movements and on your own transformation journey. This course is for you, your freedom and your happiness. As a TRE provider and energy worker, I thought this course greatly supported my personal practice, as well as being applicable to my teaching and instruction. I regularly facilitate TRE classes, workshops and wellness retreats, and it's sometimes a challenge to make the information that I want to share concise. Fernando took a lot of complex neuroscience and psychology and made it very understandable. 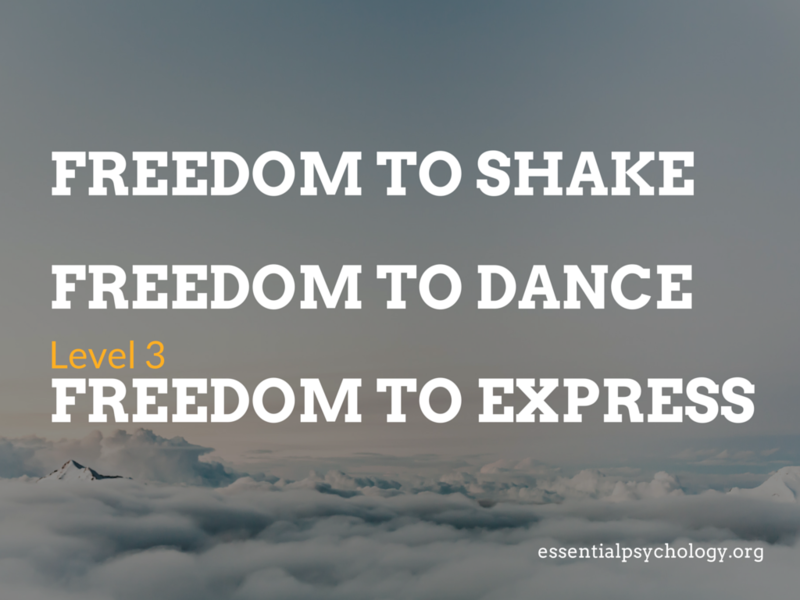 The content of the course is clear, the structure is organized, and I really love the catchphrases: freedom to shake/dance/express; whenever you need/whenever you want/wherever you are; and losing control with control. The videos of Fernando's process is FASCINATING and FANTASTIC. It really shows the possibility of the body's intelligence, and how you can have an intense experience but still be very grounded throughout the process. I gained so much from this course, and it certainly went above and beyond my expectations. Do not be put off by the absence of fancy video editing in this course. This is Fernando, just a regular, down-to-earth person, who happens to be a brilliant psychotherapist sharing some excellent insight into ourselves. Thank you, Fernando! Fernando Aguiar is a Brazilian experienced Core Energetics and TRE Level 2 therapist with a Master degree in Clinical Psychology. He is passionate about supporting people in their life changing and transformation process; his gift is to help people deeply connect with their soul and life force. Researcher who have presented in scientific conferences around the world and published in scientific journals. Facilitated workshops in Brazil, Israel, Australia, Nepal, Thailand and India in several topics. More than 10 years experience with meditation and spiritual development. I regularly refer clients to Fernando and highly recommend him for his depth of knowledge, clinical skills, sensitivity to individuals and his own personal integrity and honesty. I was going through a very difficult part of my life. Fernando supported me all the time and helped me to understand how my feelings were also in my body. It helped me to open myself more and I really enjoyed all the exercises. The session was very powerful! Just with one session we were able to shift some things and it was a powerful release for me. To feel the shift and things open up has been amazing! I was struck by who Fernando is as a person, I felt very safe. I just mentioned a few different things and he took all that and guided me through the process. It was much more than I expected. Through the work with my body we were able to work directly with some of the deeper causes of my issues. In the short time we had together he helped me to get into them in a way that I was not able before. 1.Can anyone take this course? This course was designed for people who have experience with neurogenic movements. If that's not your case, I strongly recommend you learning TRE (Trauma Release Exercises) before engaging with the course. If you are under severe traumatic and emotional stress this is not the best time to take the course. You can access Trauma Prevention.com and find a practitioner close to you. Or you can contact me for online sessions in which I will teach you how to safely use TRE for your own benefit. 2. How long it will take me to complete the course? You need around 30-45 minutes per week to finish each unit. There are a few exercises to practice along the week. You will need 3 weeks to finish the course as the units are released weekly. 3. How the 'money back guarantee' policy works? I want to remove all the risks for you because I really believe in what I'm teaching and in its potential to benefit you. If you complete the course within 21 days from purchase and it doesn't make any sense and you think it was not worth it, just e-mail me within those 21days and I'll fully refund your payment. Valid from 1st October. 4. I'm not an English speaker, will I be able to understand everything? I'm not an English speaker too. I do my best to speak clearly, but obviously I have an accent and sometimes I'll make mistakes.If you can understand the promotional video you will be able to understand the whole course. P.S. I'm really excited about this course. It is quite different from everything you have seen. I confess that I was reluctant about exposing myself so much, but at the end I realized that this need to be shared with everyone. I was so amazed by the potential of neurogenic movements and how T.R.E opens the door to really move us into our full potential. 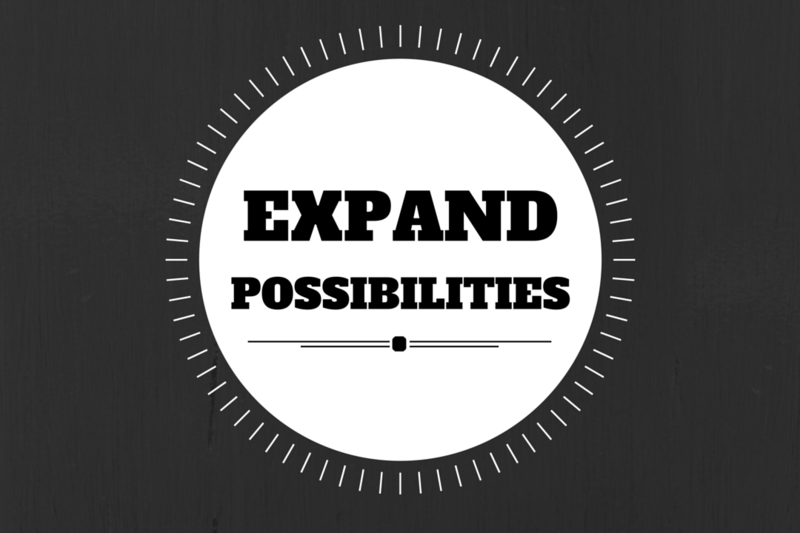 Let's expand those possibilities! How was your experience with the exercise? How was the experience with Dropping into your Body? How was your experience with freedom to express? How are you doing with this course? 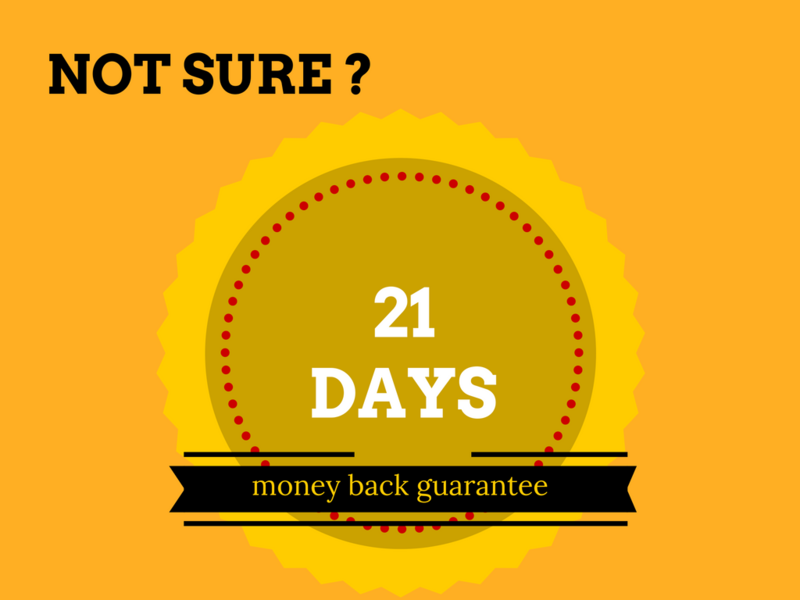 21 days money back guarantee!